The ship won a supply service award and was allowed to spend $20,000 to spruce up the crew's mess. 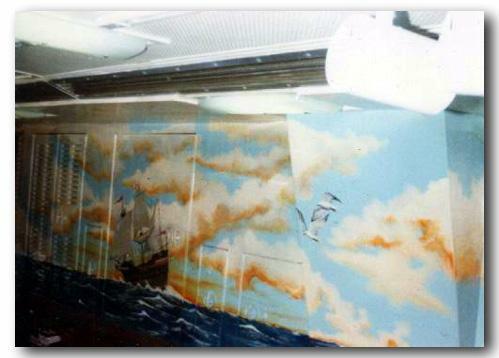 The result was this mural of action at sea. In 18 months this would all be torn down by Mare Island Naval Shipyard for the overhaul, but for the moment it was impressive. This is the starboard bulkhead of the mess.